Home / Unlabelled / What is Two-Factor Authentication, And Why You need to Use It. What is Two-Factor Authentication, And Why You need to Use It. Two-Factor Authentication (2FA) is a security system that demands two different methods of verifying your identity. Tech Savvy world is commonly using it today. While the single Password is increasingly getting unreliable as a security measure, two-factor authentication is rapidly gaining importance for logging into online accounts. Must Read: Tribute to Tech Died by the end of 2016. By default, essentially all online accounts use password authentication. The problem with passwords is that they can be easily hacked. While the tech-savvy world is using Two-Factor Authentication, the problem is that many users still use the same old password for all their accounts. Although being a bit of a hassle, Two-Factor Authentication significantly increases security by asking for an additional authentication factor, thus making it much harder to hack an account. Imagine if someone hacked into your email account. What kind of information would they gain access to? user names of other accounts, passwords to other accounts, alternative email addresses, personal data, personal photos, scanned documents, information about your friends, family, and other contacts, credit card numbers, bank account numbers, insurance numbers, anything else? Would this information potentially help them to hack into some of your other accounts, for example Facebook? And at how many places have you logged in using your Facebook or another social media account? Most of your online accounts are interlinked. Hacking one of them easily provides access to all other of your accounts. In other words, if someone manages to hack into one of your principal accounts, your identity has practically been stolen and the potential consequences are hectic for you. Must Read: ANDROID CODE CONTEST & SUMMER CONTEST. Unfortunately, not all online accounts offer Two-Factor Authentication. Often, it’s a matter of poking around their website to find additional security options. Two-Factor Authentication is an essential security measure for all your online accounts, such as email, banking, or social networking. While two-factor authentication doesn’t mean your accounts are invulnerable to attacks, it does make your accounts more resilient as a hacker needs to crack more than a simple password. Whether or not a second authentication factor is worth the hassle depends on the account and what type of information is stored in it. 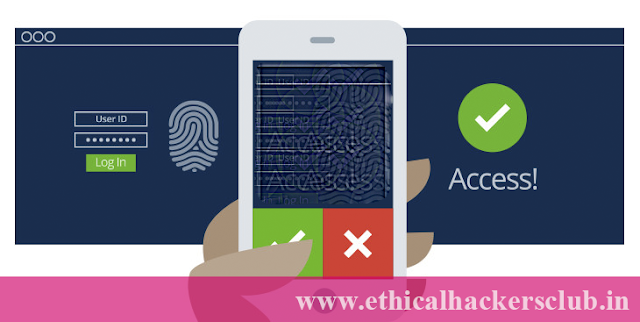 Where are you using two-factor authentication and do you think it’s worth the hassle? Must Read: Join Us To Reduce Cyber Crime.